Usha Narayanan is a gold medallist with a master's degree in English literature. 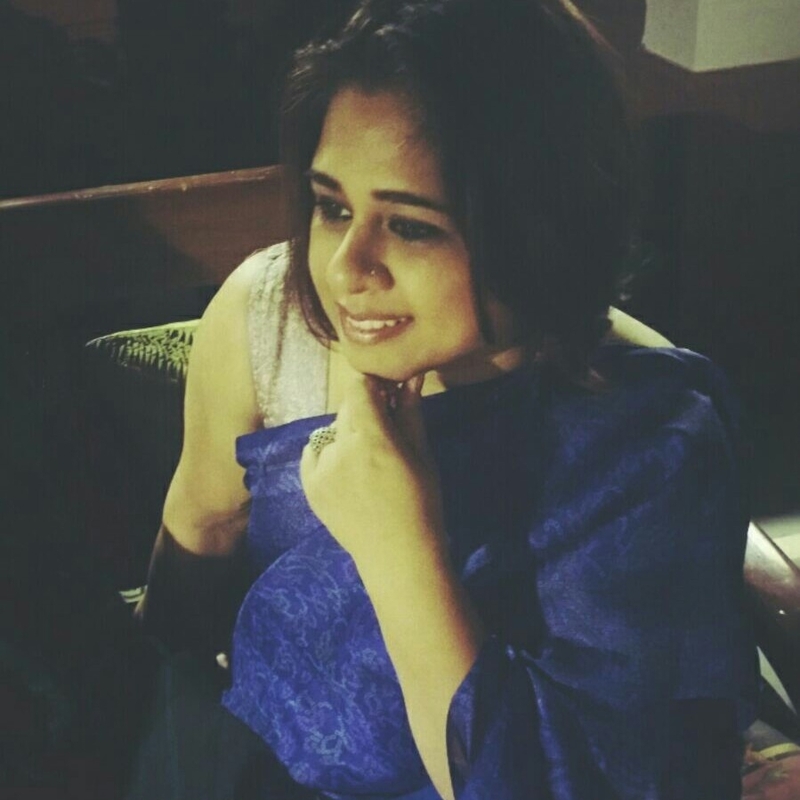 She has had an eventful career in advertising, media and the corporate world, as a creative director, features writer, web editor and communications manager before becoming a full-time writer. She is the author of several books, including The Madras Mangler, a suspense thriller, and Love,Lies and Layoffs, a light-hearted office romance, The Secret of God’s Son, which is the sequel to her bestselling book, Pradyumna: Son of Krishna. 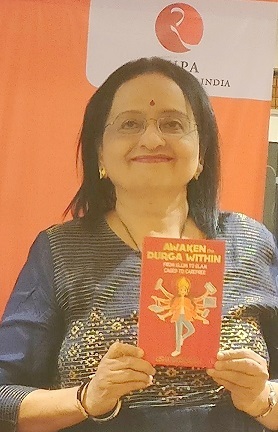 Her latest book is Awaken the Durga Within. 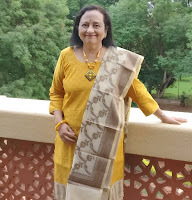 Nalini Priyadarshni is the author of Doppelganger in My House and co author of Lines Across Oceans. Her poems have appeared in numerous literary journals, podcasts and international anthologies including Mad Swirl, Camel Saloon, Dukool etc. Her poems and views on poetry and life have been featured on AIR (All India Radio) and FM radio. Nalini’s has been nominated for 2017 Top Female Writers by The Author’s Show.com for her book Doppelganger in My House. She lives in India with her husband and two feisty kids. Nalini - Thank you so much, Usha for taking time out of your busy schedule to talk. Yours is an inspiring writing career with eight books right from murder mystery to mythological fiction to romcom to short stories to your latest, ‘Awaken the Durga Within.’ What inspires you, in life and in literature? Usha - Warmth, integrity and positivity are vital to my emotional well-being and to my writing. I’m inspired also by the beauty and wealth of nature – trees and flowers, birds and animals, lakes and rivers. Nalini - Can you give us a quick rundown on what your new book ‘Awaken the Durga Within’ is all about? Usha - Women in a patriarchal country like India are often disregarded and their rights ignored. The ideal girl, we are told, is one who obeys her parents and later on, her husband and son. Not even education or a job makes her status better. She must eat last, sleep last and sacrifice her desires to ensure the comfort of others. She is asked to emulate goddesses like Sita, who walked through fire, or Savitri, who followed her husband to Yamaloka. ‘Awaken the Durga Within’ challenges these notions and proposes a change that can transform a woman’s life, in a gradual and practical manner. The book guides her in making choices that are right for her and not have decisions forced on her. It helps her overcome the fears holding her back so that she can claim her space, whatever her age, marital or social status. It offers her tips, strategies and a big bonus: little-known stories of powerful goddesses to inspire her. The Sita you meet in my book, drawn from Valmiki’s ‘Adbhut Ramayana,’ is valiant, killing a Ravana even more powerful than the one Rama slayed! Savitri is no weeping wife but a resourceful, ingenious individual who wins over Yama, showing that there’s nothing a woman cannot achieve with her wisdom and resolve. 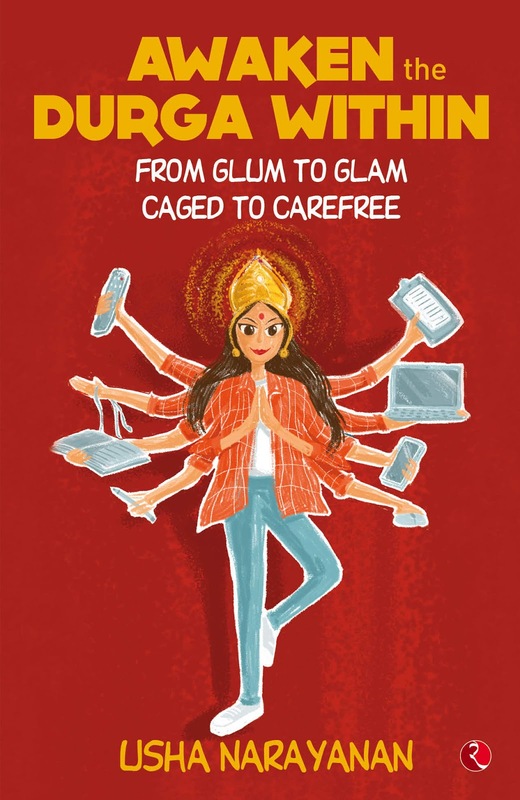 This unique combination of self help and mythology brings together my knowledge and experience gained as a homemaker and over a long, thriving career in advertising, media, the corporate sector, and finally, as a successful author. Nalini - Mythological fiction is extremely popular in India next perhaps only to romance. Any idea what attracts readers to these tales? Usha - Mythology allows us to dream, to soar into a world of stories that are complex and captivating. We identify with the protagonists and their heroism in confronting danger and difficult situations. These tales celebrate the triumph of the human spirit and of good over evil, bringing us comfort and hope. They satisfy our yearning for happy endings in an unhappy world, for justice, love and for rich creations of the imagination. A four-armed goddess or a ten-headed demon opens up infinite possibilities and gives authors like myself scope to portray monumental battles between goodness and a multitude of vices — greed, lust and ego. And underlying all this action and romance are mystic truths about life and death, dharma and karma that stay with us long after we have finished the book. I am delighted to be able to re-imagine the tales of old, as a modern-day bard adding her own flourishes to entertain and hopefully inspire readers. 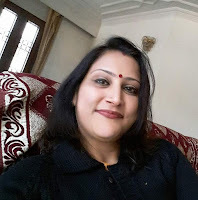 Nalini - All your books fall in different genres — one is a thriller, another mythology and yet another rom-com. How do you shift gears and excel each time? What’s the next genre that you intend to explore? What next? I have a couple of big ideas, but no time now to outline the story! Nalini - We the Indians are in the middle of fascinating times. Who would have imagined a year ago that the #MeToo movement would impact India and how! What is your take on the issue? In my book, I encourage women to set aside this fear and follow a simple three-step process to change the way they live. Whether the reader is a college-goer, a homemaker or a working woman, she must be free to seek out a life of respect and dignity, and to find her voice in the personal or professional sphere. I hope the injustice meted out to her for generations will finally be addressed and the world will become a better place for all people. Thank you for these interesting questions, Nalini. I hope your readers will find my book interesting. I would love to interact with them through www.ushanarayanan.com and www.facebook.com/writerusha. Thank you Nalini and thanks Setu for this marvellous opportunity to share my thoughts!